Do you need a reliable utility vehicle to take hiking and fishing around Fargo? Dakota Chrysler Center can help you find one! Our pre-owned inventory includes 2 used GMC vehicles for sale near Breckenridge and West Fargo. Whether you need the space of a GMC SUV or the capability of a GMC truck, our ever-changing lineup is sure to meet your needs. Explore your options below, and if you find a used GMC you like, apply for financing or schedule a test drive! Why Buy a Used GMC from a CDJR Dealer? GMC has a reputation for building dependable trucks and SUVs — and that dependability lasts through the years. Whether you choose a model from five or ten years ago, you can expect the same durability and comfort offered in the later models. 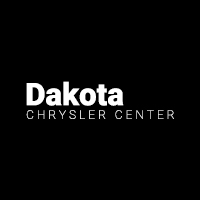 Here at Dakota Chrysler Center, you’ll find nothing less than quality used cars, as well as pre-owned specials, used trucks under $20K, and used SUVs under $15K. You can also find used cars from other top brands like Ford and Chevy. If you have questions about the vehicles shown above or our current specials, contact us or visit us near Fargo!